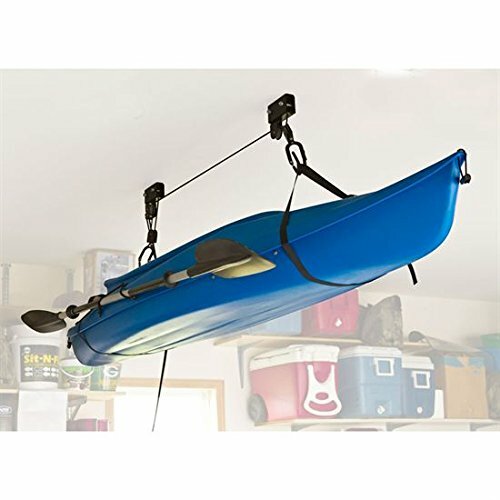 Double pulley kayak and canoe lifting hoist for a single boat weighing up to 100 lbs. 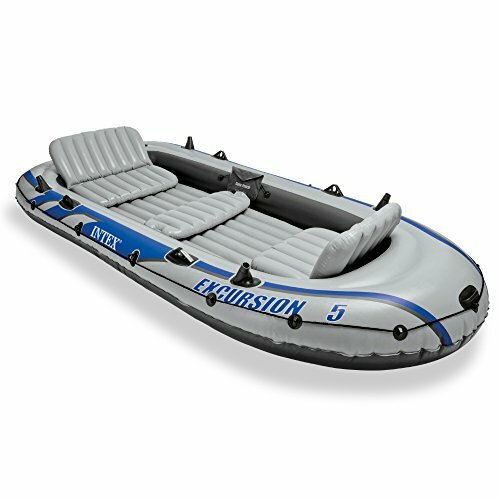 maximum. 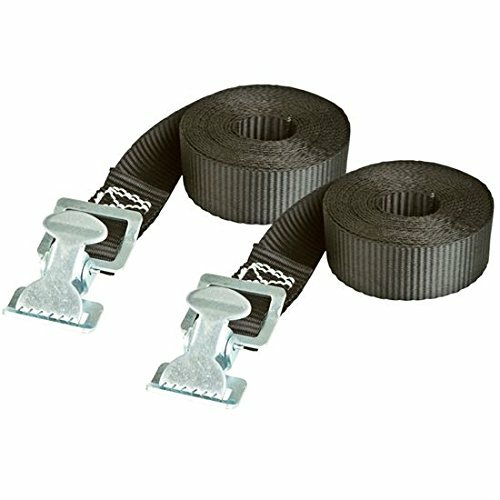 Includes necessary hardware for ceiling installation and a tie-off cleat to handle excess tie-down length from the (2) 6 ft. long tie-down straps. 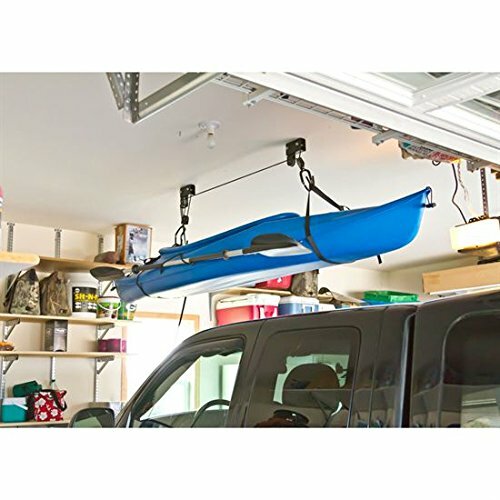 The ceiling mount design allows a kayak or canoe to be stored in a garage near the roof, ensuring there is plenty of room to park a vehicle underneath (depending on ceiling height!). 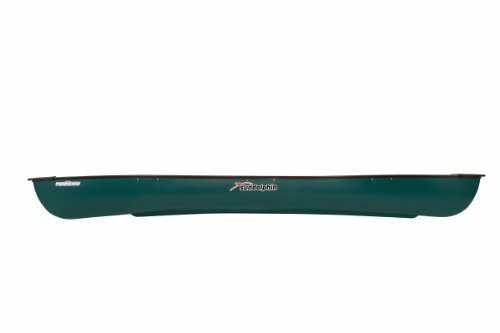 Drilling may be required for mounting bracket to joist installation. 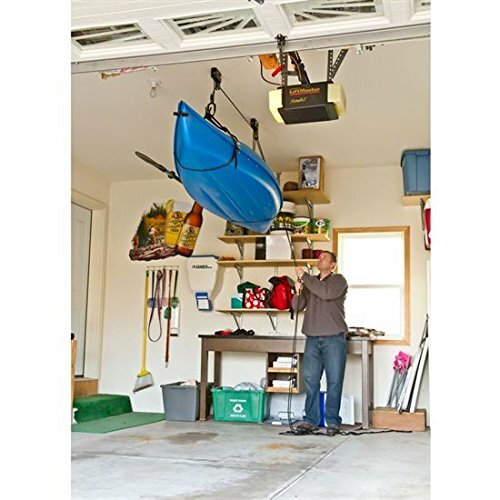 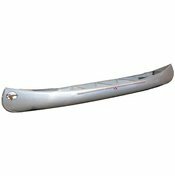 It’s recommended to allow for 36 to 42″ clearance from ceiling to bottom of hoisted kayak. 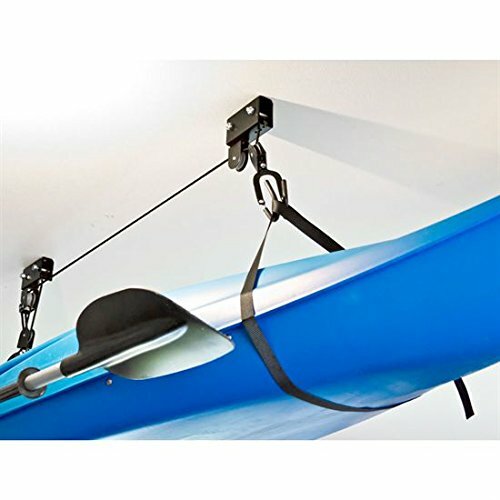 Made with heavy duty steel construction, with a black paint finish.